One of the best ways to get to know a new city is to visit the local farmers market. This is the epicenter of where you'll discover the specialities of the region while supporting farmers, fishermen, and artisans. Culture and cuisine go hand-in-hand, so where better to meet the locals and learn more about life in that city than at the market? Pike Place Market in Seattle, Washington is a prime example. Founded in 1907, Pike Place Market houses over 85 fishermongers, farmers, florists, and artisans, and 225 craftspeople. It's one of the United States' most storied public markets beloved by locals and tourists alike, (as well as a few resident ghosts, so I am told.) Pike Place is open, rain or shine, seven days a week and 363 days a year. It's not hard to get caught up in the energy of the market. 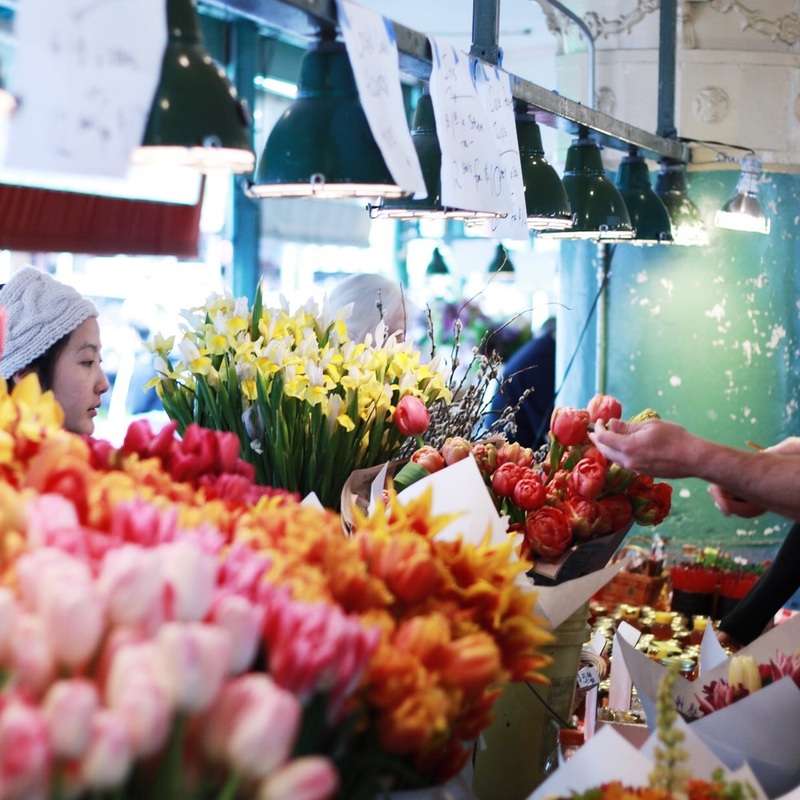 Watch the catch-of-the-day soar through the air between fishmongers, dance along with the lively street performers, and stop to sniff the blooms at the beautiful flower stands. Beyond providing top-quality goods, the market is dedicated to supporting its many independent business, local producers, and neighbors. To give you a sense of the long-lasting, warm spirit of community, the Pike Place Market neighborhood provides housing for low-income seniors in the many apartments overlooking the cobblestone streets and Elliot Bay. The take-home fresh fish and flowers are merely an added bonus when supporting good people doing good things for their community. Should you not yet be convinced to hop on the next plane or train to Seattle, Pike Place Market contains a little bit of something for everyone. As the sights and bustle of the crowd can be overwhelming for first-time visitors, below are a few tips on creating the best experience during your trip to Pike's. Arrive early. Grab a coffee or a cinnamon roll from the bakers. Watch the fishmongers in action as they toss the latest catch. Let yourself wander and make sure to explore the shops surrounding Pike Place. The "Gum Wall" and the original Starbucks are two places to note. One of my favorites is Rachel's Ginger Beer located in Post Alley. Oh, and don't forget to chat with the shopkeepers. Pike's draws a diverse crowd from all walks of life and you never know what you may learn. If you're feeling shy, people watch at the flower stands as others deliberate over bouquets for their loved ones. It will be the sweetest part of your day.